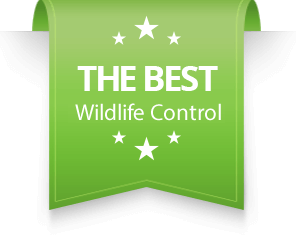 Groundhog Removal - SIA Wildlife Control Inc.
Groundhog removal can be a tricky task depending on the location that they are causing problems. If groundhogs are burrowing under decks, sheds or porches removal can be done using one-way doors designed for groundhogs. In most cases one-way doors won’t be enough, such as open fields in the backyard. It’s possible to prevent and remove groundhogs from under structures but there is no way to evict them from soil. After all they can dig anywhere at anytime and there is no method for securing one-way doors on soil. In order to deal with groundhog issues a lot of patience and time is required to slowly relocate them away from the troubled area. The only feasible method of removal in open field removal of groundhogs is trapping and relocating. City bylaws state that animal relocation limit is 1km. Groundhogs are not as common as raccoons in Toronto but still a nuisance that some have been unlucky to meet. Spotting them may be rare, but some people who own vegetation in their garden have had their share of experience with groundhogs. A groundhog can be a big nuisance in the agricultural industry, farmers have been struggling with groundhogs since the beginning of it all. Groundhog diet is fruit and vegetation, they create burrows and living space under earth within the vicinity of their food. Protecting their families is important to groundhogs and they usually create more than one hole to their homes. If backyards had nightmares, it would be a groundhog. These animals love to dig holes into your fresh sod and burrow underneath. If you have a garden you probably don’t like having them around eating your harvest. To avoid these pests, remove their food source, unfortunately that may mean not having a vegetation field. If that is a sacrifice you may not be willing to make, trapping is the only solution for you. Trapping can be a temporary solution to any wildlife problem in open fields. The worst case scenario problem that can occur with a groundhog problem is associated with the extensive tunneling systems they create. Although these tunnels don’t seem that harmful in the middle of a backyard depending on your outlook, they can be if they are near structures. Structures or sheds may become compromised because of the tunneling which may potentially cause them to collapse. Groundhog digging can remove the dirt below structures and weaken the integrity of the soil. It’s possible with enough soil tampering that groundhogs may cause the collapse of structures such deck supports.